We lingered on this spread of ALL THE WORLD (Beach Lane Books, 2009), by Liz Garton Scanton, illustrated by Marla Frazee, for a long time. Our eyes scanned the rich landscape until we found them: Characters like us, so very, very small, searching for their place in the enormity of the world. The books of Marla Frazee, winner of two Caldecott Honor medals - including one for ALL THE WORLD - invite us to do just that: Zoom in, and feel all the feelings that each unique moment brings. Then back way up, to see bigger things in motion and understand where we fit in it all. Being somewhat new to the PB world, I heard Marla Frazee’s name before I knew her books. I could tell she was beloved by many, but I wasn’t yet familiar with her work. 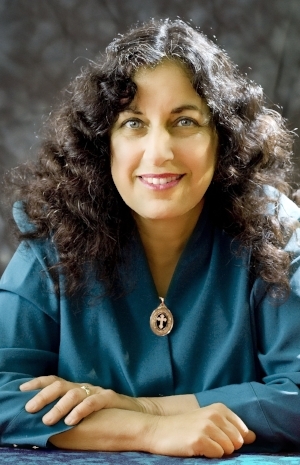 After reading more of her titles over the past few years, I knew that at some point I’d be writing this post. There is something incredibly special about this creator, whose honest characters and sweeping art and imprint themselves in your mind and heart. Frazee’s titles keep working their way into our story times and independent reading (my kindergartener is off and running - be still, my heart!). I hope you, too, find your way to these titles, if you haven’t read them all. Your children and students will feel seen and, at the same time, get a broad view of the people and places that comprise the land we call home. They’ll also meet new people and creatures to love, and visit wildly imaginative settings. 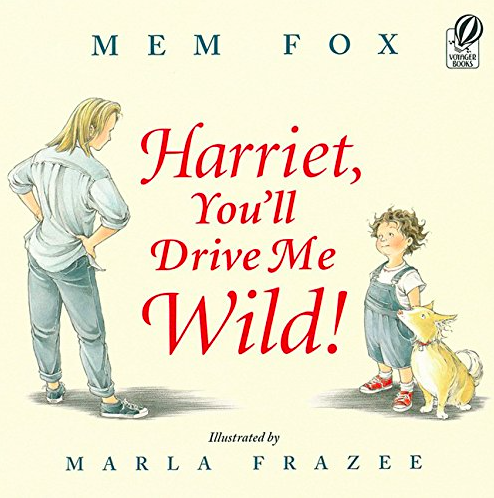 Frazee brings us close to Harriet, as she does things that we’ve all done. We’ve all made massive kitchen messes. We’ve stood guilty before another and tried not to cry. We’ve fallen into the embrace of a parent and received (and given) grace and forgiveness. The raw everydayness in this book is also on full display in THE SEVEN SILLY EATERS (Harcourt, 2000) by Mary Ann Hoberman, illustrated by Frazee. 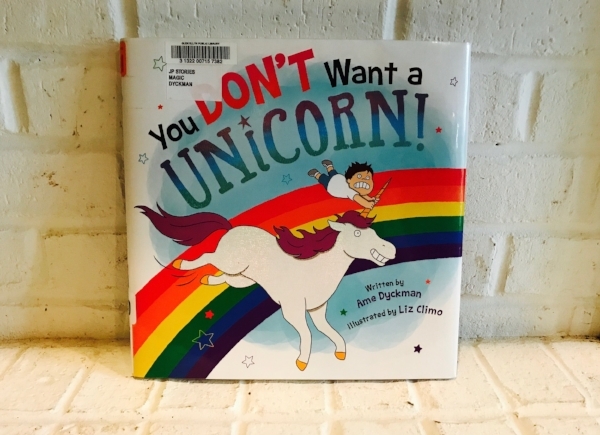 Lots of picture books capture familiar feelings and experiences, but the very best among them express emotions in ways that delight and surprise with their truth and clarity. Through facial expressions, emotive posture and nimble choreography, Frazee creates indelible scenes worth a thousand words. As the mom of a child with special needs, I feel the need for representation in art acutely. Frazee’s books burst with characters from all walks of life. Babies worn by their mothers. Little boys on big wheels. Little girls climbing trees. Couples on benches and riding bikes for two. Parents guiding children. Seniors walking dogs and feeding birds. The varied ages, races and family compositions that make up our society are enlivened and celebrated in this book, as well as in Frazee’s ROLLER COASTER (Harcourt, 2003) and IT TAKES A VILLAGE (Simon & Schuster, 2017) by Hillary Rodham Clinton, illustrated by Frazee. Her depictions of everyday life capture the love between us when we share nature, music, adventure and dreams. Like a cinematographer, Frazee works the frame. She gives us every vantage point we could hope to see, and active moments that communicate new information about her characters and firmly plant us in their environment. In MRS. BIDDLEBOX (HarperCollins, 2002) by Linda Smith, illustrated by Frazee, the artist again pulls us into an unknown place - a home dark, smoky and full of angst. As Mrs. Biddlebox wrestles the fog around her, Frazee’s incredible use of lines sweeps the reader into a kinetic, frenetic swirl. Fog seeps, steams, tangles and folds in wild, beautiful abandon. It’s hard to imagine anyone but Frazee breathing life into this spellbinding book. Frazee introduces sibling puppies by first emphasizing all that they share - a home, a bowl, a tree (to pee on), a bed - only to reveal one key difference in their routine, which creates a rich opportunity for conflict. My girls love the back-and-forth compare and contrast in this book, and tracking the dogs through the narrative. It’s also one of the first books my 5-year-old learned to read by herself, which carries lots of meaning to me, of course. 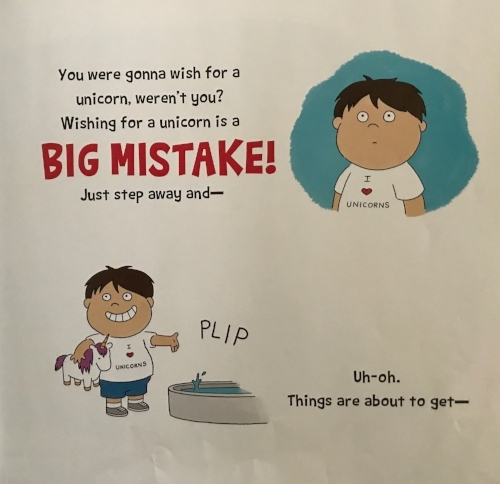 Frazee gets to the heart of the parent-child power struggle with perfect word choice in the picture book heaven that is THE BOSS BABY (Beach Lane Books, 2010). The premise of an infant running the house like a ruthless corporate suit tickles parents, and children relate with ease to the thing the “boss” wants most of all… control. It’s playful, charming, stylish and smart - all of the things that make you want to read a book again and again. This winter in NYC, I’ll attend a Society of Children’s Book Writers and Illustrators (SCBWI) workshop led by Frazee, Allyn Johnston and Rubin Pfeffer, who will share their experiences creating “The Picture Book.” As a reader, I can’t wait to hear the stories-behind-the-stories noted above. And as a creator, I eagerly await the chance to grow my craft by learning how they came to be. Thank you, Ms. Frazee, for creating these brilliant tales, which have filled my family’s reading time with hope, understanding and laughter. My girls sat down to pen their letters to Santa the other day. My middle crafted an awesome list complete with illustrations, for extra clarity. I was going to share it with you, but I didn’t snap a picture in time, and it’s already on its way to the North Pole! Why was my daughter so inclined to include Mrs. Claus in her Christmas preparations? I think it has a little bit to do with a spunky holiday adventure we’ve been reading - new picture book MRS. CLAUS TAKES THE REINS by Sue Fliess, illustrated by Mark Chambers (Two Lions). 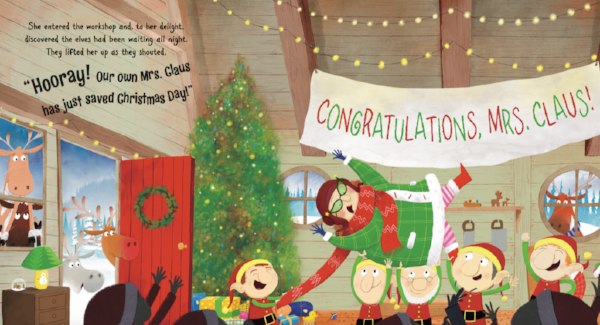 MRS. CLAUS TAKES THE REINS is a rhyming holiday picture book that puts Santa’s bride in control of the reindeer fleet’s bridles and Christmas Day. The story - set in a quaint and cozy North Pole village - begins on Christmas Eve. The whole team is ready to go… but where’s Santa? Mrs. Claus wastes no time getting to it. With the help of her elf crew, she gathers supplies and maps her route. Everything is on the up, up and up until the weather goes south and the sleigh springs a leak…. Where beloved Santa uses magic to deliver joy to girls and boys, Mrs. Claus is a master of improvisation, who confronts problems with smarts, gusto and flair. When she returns to the North Pole after a job well done, she finds her partners, the elves, awake and ready to celebrate her victorious voyage. Chambers’ illustration in this scene really captures this book’s jovial tone and positive spirit. Sue Fliess, the author of more than 20 books for children, has a natural gift for engaging children, and this winter she’ll visit classrooms across the country to talk to kids about reading, writing and imagination. I asked Sue questions about her school visits, and she kindly shared a few sweet stories with us. 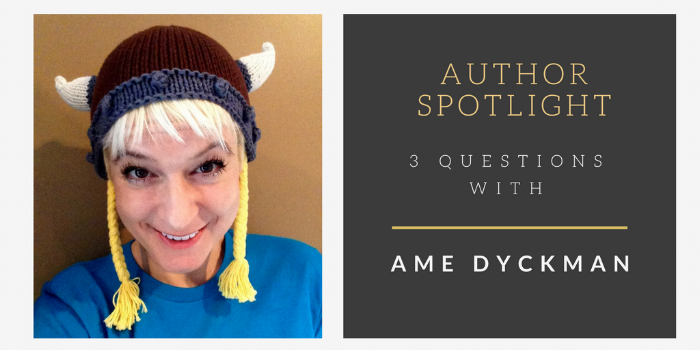 I hope you enjoy this Author Spotlight with Sue! You're in the midst of sharing MRS. CLAUS with students. What are some of the questions kids are asking about the story and about writing books? I’m so glad you asked this! I just visited a Virginia school where I talked to pre-K through 8th grade, and the middle school students were working on analyzing the plots of some of my books. One group chose Mrs. Claus Takes the Reins and let me know they were working on the theme of grit. Which I love. It’s the perfect word to describe the heart of the story. Since Mrs. C doesn’t have magic, she relies on her intellect, quick-thinking, and grit! At another school visit this fall, the kids noticed and appreciated that Mrs. Claus is using modern technology to get the job done—her list and her map are all on her handy tablet! At school visits, I often get asked “What’s the hardest part about writing a book?” My answer is usually, writing the ending. I have lots of stories started and stalled because I haven’t found quite the right way to end it. I always strive to ‘bring it home’ at the end, and there’s not always a clear path to the end! School visits provide such wonderful quality time with young readers. How do you structure your school visit days, to make the most of this precious time? I feel like I could talk all day long about writing, my books, my process, so I need to be conscious of our (the students and myself) precious time together. In order to give the school the most bang for their buck, I offer a variety of presentations geared towards the different grades/ages, from nuggets about writing and how I get my ideas, to research, revising, and getting to the heart of your story. But I always make sure I touch on the things I think they’ll find the most interesting, that they can take back to their own writing—to feel like they really got something out of my time with them, rather than just being entertained. My hope is always that it kicks their brains into gear so the teachers can piggyback on my visit and extend the messages into their lesson plans. So far, the feedback from schools is that this is happening, so hooray! Can you share a story from a school visit, that hit an emotional chord with you or has inspired your work? At one school visit last spring, I was talking about research for one of my books that involves a machine that the character builds (Mary Had a Little Lab). I asked the kids, “If you could invent a machine that could make anything, what would it be?” Some answers included ice cream, unicorns, money, wishes, and then one boy said, “I would invent a machine that makes Sue Fliesses, so you could be here every day!” I got a little choked up! The kids’ enthusiasm and joy that I am visiting their school is totally contagious, and absolutely the most rewarding thing about school visits. I feel incredibly lucky to be able to do this with my life! Thank you, Sue! MRS. CLAUS TAKES THE REINS is available at or through your local bookstore, or via the online bookseller of your choice. 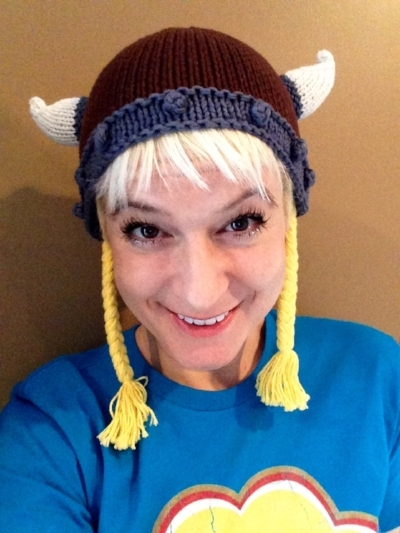 Sue Fliess (@SueFliess) - pronounced "fleece" - is the author of numerous children's books, including Tons of Trucks, Shoes for Me!, Robots, Robots Everywhere!, The Bug Book, and many, many more. Mark Chambers (@markAchambers) is an illustrator and author of children's picture books and young fiction, who is represented by The Bright Agency. It's a pleasure to feature author-illustrator Mike Wu in my latest Author Spotlight post. Wu is the creator of the ELLIE picture books. Since Ellie was first published in 2015 (Disney Hyperion), this sweet elephant's big bashful eyes have been calling readers near to grow more familiar with her gentle heart. It's no wonder that Ellie continues to find new ways to connect with young readers. Picture book characters can often be quite loud, bossy and quirky. Ellie, in contrast, is so very sweet, measured and reflective. Her adventures deliver a tenderness that many children seek at reading time, and Wu's artwork provides a lyrical journey that's full of memorable movement. 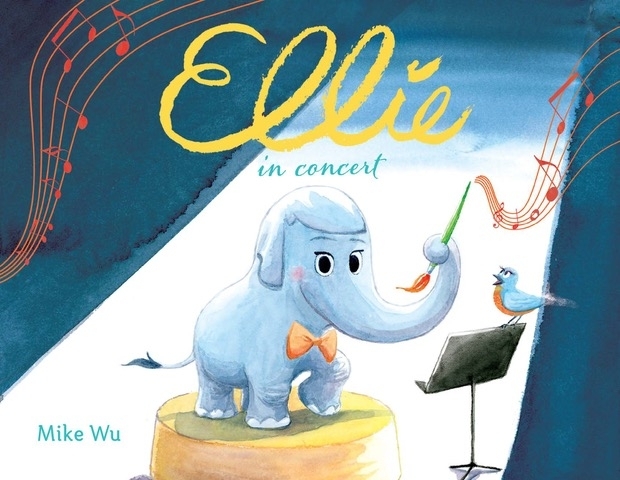 All of this is especially apparent in Wu's latest Ellie picture book: ELLIE IN CONCERT. From the beginning of ELLIE IN CONCERT, readers are reminded of the comfort and warmth of Wu's vibrant storytelling. Animals pop off the pages like familiar friends - their sounds calling out in large letters that beg a dramatic read-aloud. The central conflict in ELLIE IN CONCERT is... well... all that glorious noise - which isn't so glorious to poor Lucy, the giraffe. It's keeping her up when all she wants is a good night's sleep. Is it possible for Ellie's zoo friends to express their unique sounds, but make music, not discord? That is the question posed in ELLIE IN CONCERT - and this lovely book provides a hopeful and celebratory answer. Mike Wu hopped over to the blog to answer a few questions about ELLIE IN CONCERT and share a bit about his approach to illustration and his animation experiences, as well. The Ellie books are at times gregarious, but also so gentle and soothing. How did you arrive at this style? For college, I attended Cal Arts (known as the Disney school) in Valencia, CA, and was fortunate enough to be inspired by many creative artists there - particularly one great teacher, Deborah Ross, who introduced me to the art of watercolor painting. It was at school and through her that I really fell in love with the soft, natural and beautiful art of watercolors. I would often go to the zoo and paint the animals in watercolors and it was so fulfilling and almost therapeutic. I came back to this style as an professional and through my children's books and have really enjoyed finding that part of self expression again! I feel like the medium really suits the sweet characters in my Ellie series and makes her unique for readers today. I love your use of the rainbow and the musical staff to illustrate the tone and tenor of animal voices. What inspired this? Since I have an Animation & Film background, there are always subliminal elements added into movies to lead the viewer, evoke emotion or movement, etc., and I felt like both of these elements sort of acted as almost like a character within itself to either spark creativity or illustrate music/story point in a fun and visual way. My kids were excited to hear that you’ve also worked on some of their favorite movies (The Incredibles, Ratatouille, Up, Toy Story 3). As an animator, what about picture work writing and illustrating appeals to you? Do they relate at all? So happy to hear your kids are fans of the Pixar films! Those are some of the greatest ones! They are actually related since they are both an art form trying to convey unique stories or introduce characters in fun or unique situations. I'm so incredibly lucky to work at a great studio like Pixar where I get to work with some of the most talented artists in film today but I also get to tell/create my own unique stories through my children's books. 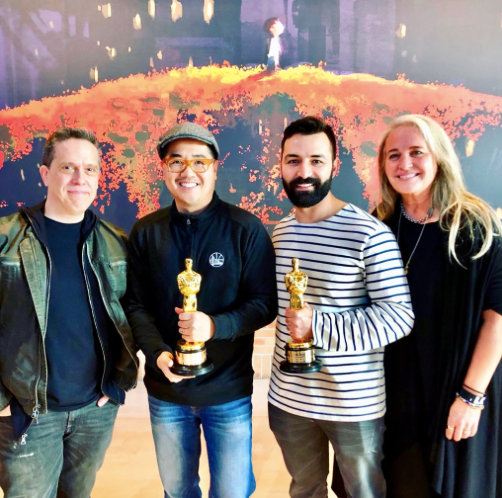 Wu was an animator on the Academy Award-winning Coco team. Pixar's Incredibles 2 hits theaters Summer 2018. Thank you so much for stopping by the blog, Mike! Visit www.theartofmikewu.com to learn more about Mike's books, including HENRI'S HATS (September 2018) created in association with the Pixar Artist Showcase. ELLIE IN CONCERT can be purchased in bookstores nationwide, as well as online through the bookseller of your choice. You also can enter to WIN an autographed copy through my Twitter page and blog! And, as a parting treat, here's the fabulous book trailer for ELLIE IN CONCERT, with music by composer and artist Andrew Jimenez. Yes, the best of love stories always have a feeling of certitude about them from the get-go. But that awareness isn't always shared by both parties, right away. Sometimes, great loves start metaphorical miles apart. And it takes a good deal of creativity and perseverance to bridge the distance. 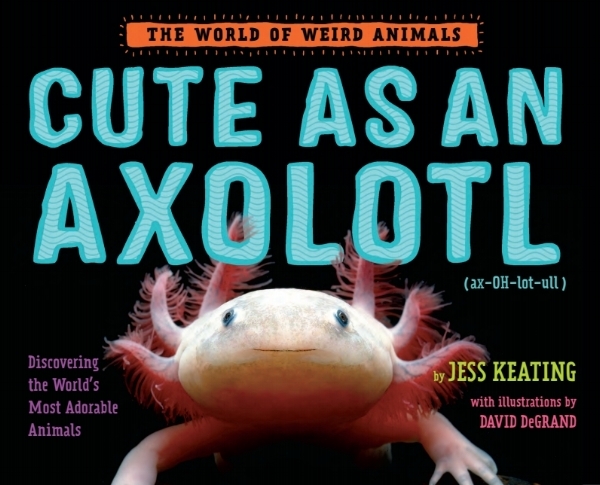 Picture book XO, OX: A Love Story by Adam Rex (illustrated by Scott Campbell) has great fun with this very idea. It's a bumpy-road-to-love story that connects with kids and grown ups alike, and I thought Valentine's Day would be a perfect time to share it with you! XO, OX is the story of clumsy Ox who is in love with glamorous Gazelle. One day, Ox decides to write to Gazelle to share his feelings, and his correspondence kicks off a hilarious exchange filled with assumptions and misunderstandings. Rex's language is poetry, and the comedic subtleties are just genius. 1. The Letters: XO, OX is told entirely through letters sent between Ox and Gazelle. Both characters lean on formal phrasing to establish their intentions. (For Ox, flattery. For Gazelle, dismissiveness.) But when their wires get crossed, clarifications prove quite challenging. 2. The Insults: Quite by accident, Ox repeatedly insults Gazelle. Every note includes a dose of adoration, along with a backhanded compliment. While Gazelle tries desperately to cut off the correspondence, she can't help but set him straight. 3. The Fury: With every letter, Gazelle grows more and more furious and emotionally entangled. She knows Ox is beneath her in every traditional way, but his letters cut through her hardened exterior and reach her heart. Isn't that just how love is? For all of these reasons and more, XO, OX was one of my very favorite books of 2017. 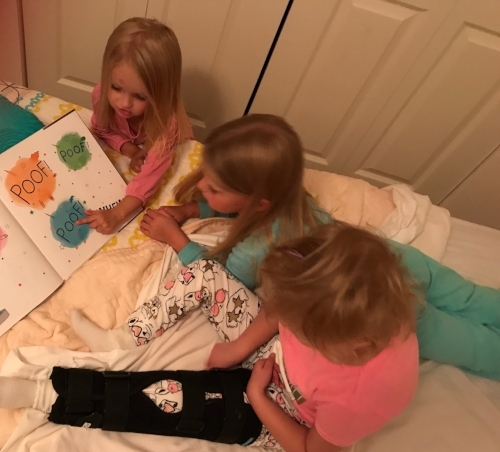 Our family loves Rex's many other books, too, from Tree-Ring Circus and Moonday to 2017 standouts Nothing Rhymes with Orange (written and illustrated by Rex) and The Legend of Rock Paper Scissors (illustrated by Rex). July 2018 brings Rex's next book - the much-anticipated Star Wars title Are You Scared, Darth Vader? I adore everything about XO, OX. It’s so ornery and sweet at the same time. What inspired the story? It’s such a dumb anecdote. I saw a safety sign, like the one below; and I can only assume that finding the word OX in such a context got me thinking about the individual letters, and how they also connote kisses and hugs. The phrase, "XO, OX" popped into my head and struck me as funny, and I got to thinking about what kind of story might have such a title. Your illustrative work is phenomenal. How do you know if you’ll take on the art for a book (like MOONDAY - another fave of mine) or if you’ll team up with an artist, as you did with Scott Campbell in XO, OX? Sometimes I just don’t think a manuscript plays to my illustrative strengths all that well. Sometimes it’s just a feeling—am I strongly compelled to illustrate this one myself? If not, then why would I when I could potentially get to collaborate with one of my illustrator heroes? Then, as a result, I often have enough leeway in my schedule that I get to illustrate a book for one of my author heroes. When our family reads your books, it’s like hanging out with a friend who knows just how to make us laugh. Can you share a bit about how you came to find your writing voice? I wish I knew how to pick it apart. I know there’s a lot of Douglas Adams in there, because I first read his Hitchhiker’s trilogy at age eleven, at a time when I don’t think I was even faintly aware of authorial voice. Most of what I was reading probably had little or no voice at all. And then here comes this book that is almost 100% this idiosyncratic, funny voice, and it taught me that just the right arrangement of words can really exceed the sum of its parts. And a slight rearrangement of the same words can fall dead on the page. And I think I’ve been chasing after that idea ever since. 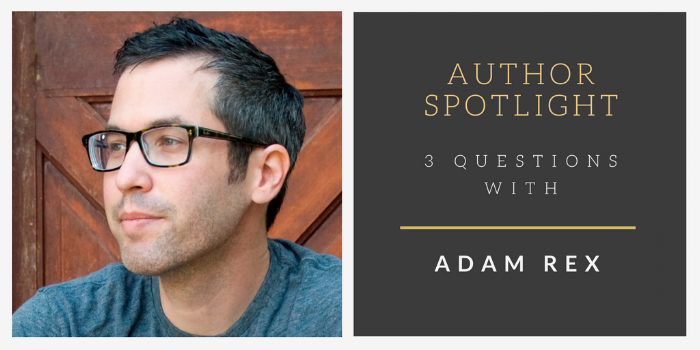 Thank you, Adam, for stopping by the blog - and Happy Valentine's Day to all! When you open your fridge and survey the scene, what do you see? Foil-topped bowls. Lidded pans. Packaged cheese and meat. Jars of this and that. Look harder. Every shelf and drawer is a neighborhood, in a way. Items are grouped and stacked, nestled by type. But regardless of partition or bin, each member of the fridge community has it's own internal clock. A week too long in the tall cold box, and things can run afoul. Yes, sometimes your fridge becomes a custodian of things undeniably offensive. Unbelievably obscene. Downright stinky. Locating the source of the stench isn't for the faint of heart. Super sleuths are often required. And who better to investigate than a croissant with something to prove? The answer is found in The Case of the Stinky Stench, a delectable adventure by picture book author Josh Funk, illustrated by the fantastic Brendan Kearney. Our family LOVES Stinky Stench. Reading it is like tumbling headfirst into Candy Land. In this imaginative world, beloved grocery store staples transform into home-cooked landscapes, and unexpected events await beyond every turn. The very first page serves as a proper amuse-bouche: You know right away that you're about to embark on a sensory-alerting fun-filled rhyming experience. Inspector Croissant is tasked with unearthing the root of a horrible odor, and Lady Pancake and Sir French Toast (his aunt and uncle) are happy to help. Clues lead them to every corner of the fridge - across Salsa Ravine, around Mount Everbean, through Applesauce River, and beyond. The melodic, clever story resolves sweetly, with heart and optimism - leaving plenty of room for a sequel, but also standing alone splendidly. Therefore, with great pleasure I introduce Josh Funk - star of this month's Author Spotlight! My girls can't hear the word "stinky" without saying "stench." Your book has a permanent place in their mental book vault. What books shaped your love of words and story as a child? First, anything and everything Harry Potter (although I was 21 when I started reading them). I have a really hard time reading any other book about magic because I always think “No! That’s not how spells work!” (which is exactly why I couldn’t get through chapter one in the Bartimaeus Trilogy). And I’m pretty sure I’m claustrophobic because of Sylvester and the Magic Pebble. That one did a mental number on me. The worlds you create are filled to the brim with color and personality - they seem like they are as fun to write as they are to read. What part of the writing experience lights you up most? First, thank you. Second, I’d have to say that most of the color and lots of the personality come from the amazing illustrators with whom I’ve been paired. 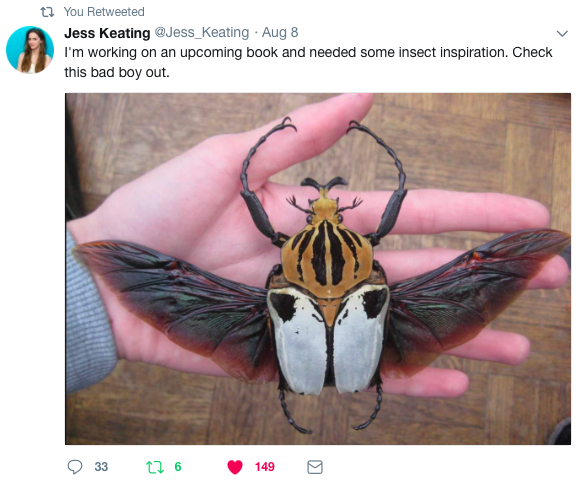 And those illustrators are really the answer to your question: seeing the artist’s interpretation of the text for the first time is always the most incredible experience. As soon as I first saw what illustrator Brendan Kearney had created for Lady Pancake & Sir French Toast, I immediately began brainstorming new ideas to explore deeper into the depths of his incredible illustrated fridge. Within a few weeks, I had written The Case of the Stinky Stench. And I didn’t stop there - next year we go even further in Mission: Defrostable. From your entertaining books to your enthusiastic voice in the kidlit community, it sure seems like you were born to be a picture booker! How do you balance writing time and time spent connecting with readers and fellow writers? Balance? What is this balance you speak of? There’s always too much to do. But I guess I just try to do what I enjoy - and I enjoy writing as well as connecting with readers and writers. When I’m really into a manuscript, I spend lots of time writing until it’s done. And then I revise, too, of course. But what are books without readers? I guess they’re still books ... but they’re unread books. And the truth is that there are so many amazing books being written and published right now - it’s really hard for anyone to keep up with all of them. So I try to share the books I enjoy with others … and hopefully people will notice mine in turn. And as far as connecting with readers - that’s the whole point, right? It’s all for the kids (and adults who read to kids). As I tell students all the time, I’m just a regular guy. I know the alphabet and I like stories. If you know the alphabet and like stories, there’s no reason you can’t be a writer, too. Thanks, Anitra, for inviting me to your blog! The pleasure was mine, Josh! When not writing Java code or Python scripts, Josh Funk drinks Java coffee and writes manuscripts. Connect with him at www.joshfunkbooks.com and on Twitter at @joshfunkbooks. The Case of the Stinky Stench can be purchased in bookstores nationwide, as well as online through the bookseller of your choice. You also can enter to WIN an autographed copy from Josh through my Twitter page and blog! About a year ago, the most adorable book came home with Elsa in her backpack. My 5 year old had picked it out with the help of her classroom teacher and school librarian. The book? Gaston. The author? Kelly DiPucchio. Gaston - published in 2014, but new to our family - quickly climbed my looooong list of favorite picture books. (Here's a favorite Gaston moment, as highlighted in my #ChildrensBookWeek roundup.) Today, this book is one of my favorite gifts to give when helping new parents build their baby's library. I also love giving Antoinette, DiPucchio's sequel to Gaston (published in 2017). Both books feature gorgeous and unforgettable illustrations by Caldecott Honoree Christian Robinson. DiPucchio's adorable white pups Gaston and Antoinette, and their family tales, are emblematic of what this fabulous author does so brilliantly. She masterfully delivers characters that warm our hearts and solve problems with ingenuity, determination and hope. Manny is the star of DiPucchio's new book Super Manny Stands Up! My-oh-my, what a special little raccoon, illustrated so sweetly by Stephanie Graegin. An adventurer with an enormous imagination, Manny dons super hero capes after school to fight bad guys of every ilk. Whether taking on zombie bears or unsavory sea creatures, Manny stands up and conquers with gusto. He is strong. He is brave. He is fearless. However, Manny's invincibility is tested when the mean, towering Tall One at school picks on a classmate one-eighth his size. Will Manny stand up and face injustice? Or will he stay silent and glued to his seat? The story - which hit awfully close to home for me this week - resolves in the most thrilling manner as Manny, buoyed by his invisible cape and true courage, not only overcomes his personal fears but also motivates an entire lunch room of kids to stand up for what is right. It's now my distinct pleasure to introduce Kelly DiPucchio (@kellydipucchio), author of the aforementioned titles, and more than a dozen more. 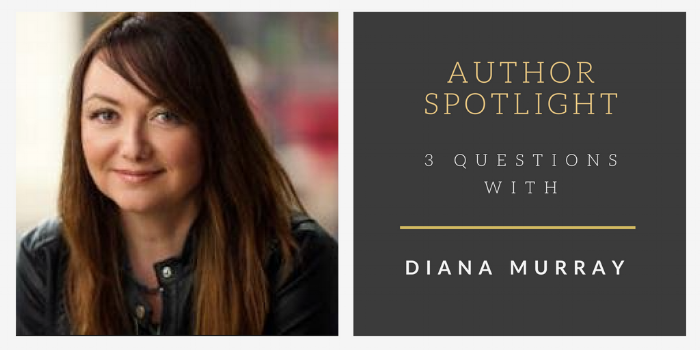 A huge thank you to you, Kelly, for sharing Manny with us all, as well as answers to these three Author Spotlight questions. My girls hung on every word of Super Manny Stands Up! and were especially drawn in by the colored capes and their unique purposes. How did this idea, and the themes of the evil forces, come to you? Thank you! I’m delighted to hear your girls enjoyed the story. To be honest, I’m not completely sure how any of the themes in any of my stories come to me. When I’m truly in the zone, I’m pretty much taking dictation and writing down the stories I’m hearing in my head. That being said you can find some connecting threads within the different evil forces I created for Manny. For example, when Manny is wearing his blue cape he’s busy saving the world from an ocean of unsavory sea creatures. It’s not a stretch to see the link between the color blue and his aquatic enemies. Likewise, when Manny is taking on the forest giants he’s naturally wearing a green cape. I also imagined everyday items Manny might have in his home that could become potential adversaries like teddy bears, pillows and cardboard boxes. Those items ultimately transformed into zombie bears, cloud monsters and alien robots. The pacing makes for a great read-along experience. The moment Manny stands up for the Small One is perfect (from the first use of his tiny voice, until it builds and the whole lunch room joins). How do kids respond to this scene when you read the book aloud? I have read Super Manny to smaller groups at bookstore events and it’s been fun. Like with any new book, it takes me several reads to find that “sweet spot” – knowing when to pause, how long to pause, when to raise my voice and when to whisper. But the tension in this particular story really does have a nice build so it’s been great watching the different expressions on the children’s faces as the lunchroom drama unfolds. Why do you think it is so hard for kids (and adults) to remember their invisible capes and stand up when things aren't right? In a nutshell, FEAR. Kids (and adults) are often leery of drawing attention to themselves for fear they’ll be judged. It takes a lot of strength and bravery to allow yourself to be vulnerable – to put someone else’s needs above your own need to feel safe. When kids see courage and kindness being modeled by their parents and peers it empowers them to override their fears and to be more empathetic. There’s also strength in numbers as we see in Super Manny Stands Up! I hope that kids hearing the story realize they, too, can be a catalyst for good and a superhero like Manny by standing up when things aren’t right. Super Manny Stands Up! can be purchased in bookstores nationwide, as well as online through the bookseller of your choice. You also can enter to WIN an autographed copy!! !